A dad was left stunned after his toothbrush holder turned out to be a 4,000-year-old ancient relic which has now sold for 20 TIMES the amount he bought it for at a car boot sale. Karl Martin, 49, picked up the old pottery jar for just £4 and has used it to keep his toothbrush in for the last five years. But the antiques valuer noticed a similar piece of pottery that was being sold in an antiques sale at the auctioneers where he worked around six weeks ago. 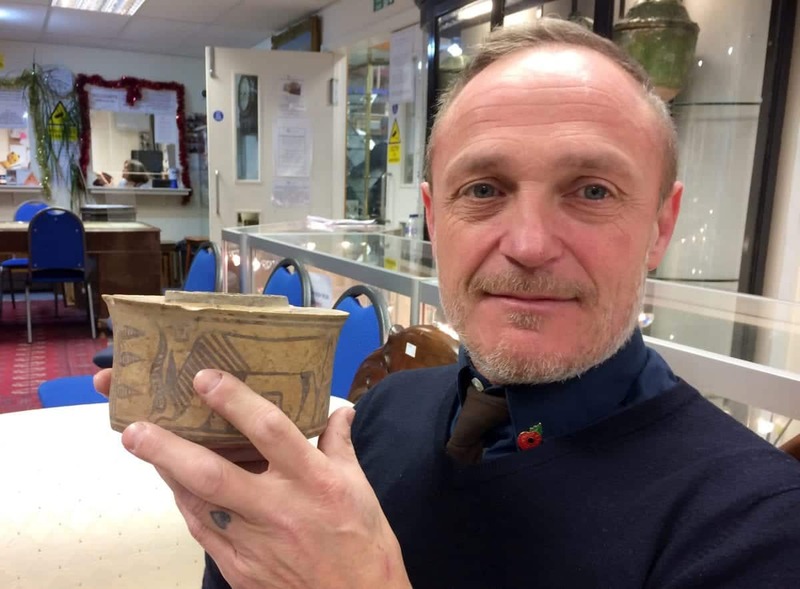 He asked a colleague at Hanson’s Auctioneers to examine his pot and was amazed to be told it was a genuine antiquity from Afghanistan and dated back to 1900 BC. Dad-of-one Karl, of Derby, said: “I used it in the bathroom to store my toothpaste and toothbrush – it even ended up getting a few toothpaste marks on it. “It was bought from a car boot sale in the village of Willington in Derbyshire. I liked it straight away. I suspected it might be very old but forgot all about it. 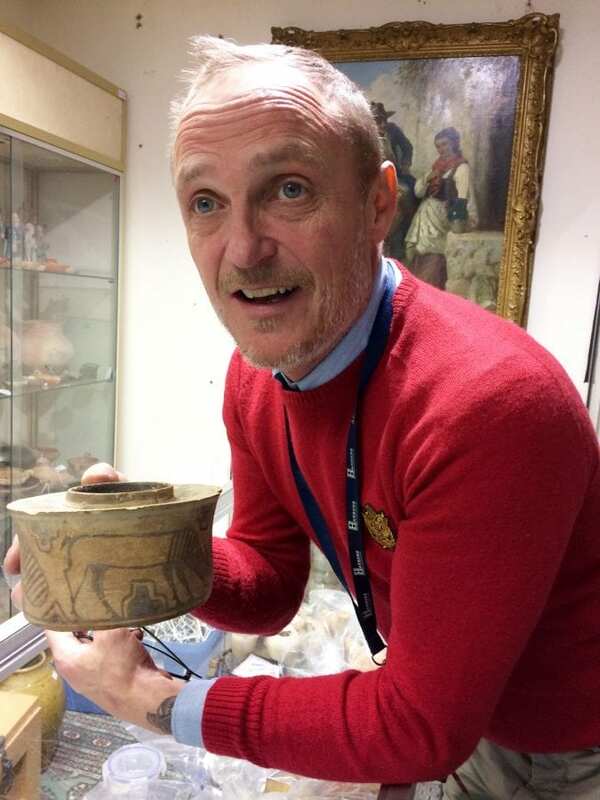 “Then, one day at work, I was helping Hansons’ antiquities expert James Brenchley unload a van and noticed some pottery which was similar to my toothbrush pot. “The painting style looked the same and it had similar crudely-painted animal figures. “I rescued the pot from my bathroom and asked him to examine it for me. “He confirmed it was a genuine antiquity from Afghanistan and dated back to 1900 BC. “That means it’s around 4,000 years old – made 2,000 years before Christ was born. It’s amazing, really. “I specialise in British history rather than world history so I wasn’t an expert in this field and was none the wiser. “It had been used to keep two tubes of toothpaste in and three toothbrushes for me, my wife at the time and my son. “How it ended up at a South Derbyshire car boot sale, I’ll never know. “I like the pot but decided to sell it at Hansons’ November antiquities auction just to see how it would do. “There was interest straight away with advance bids placed and it eventually sold for £80 – not a fortune but a decent profit. 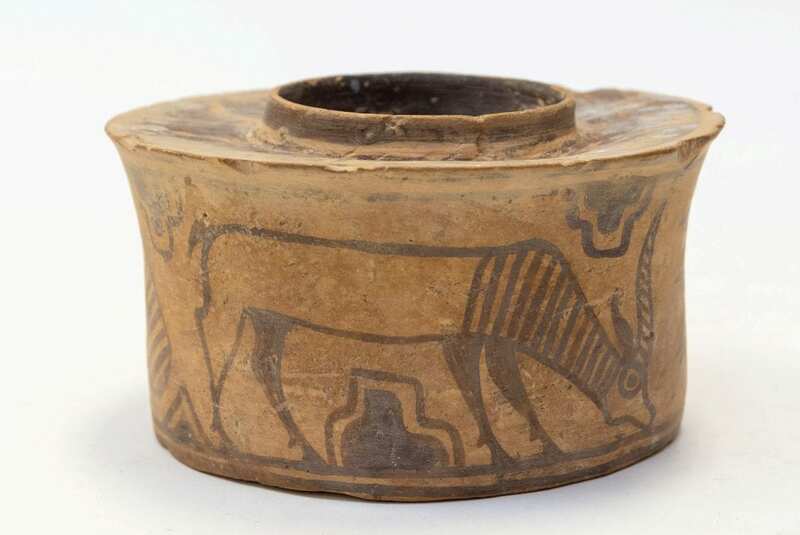 James Brenchley, head of antiquities at Hansons Auctioneers, said: “This is an Indus Valley Harappan Civilisation pottery jar dating back to 1900 BC. “This was a Bronze Age civilisation mainly in the north western regions of South Asia. “Along with Ancient Egypt and Mesopotamia, it was one of three early cradles of civilisations of the Old World, and of the three, the most widespread. “The civilisation was primarily located in modern-day India and Pakistan as well as Afghanistan. “I do come across items like this from time to time and was familiar with the painting technique.